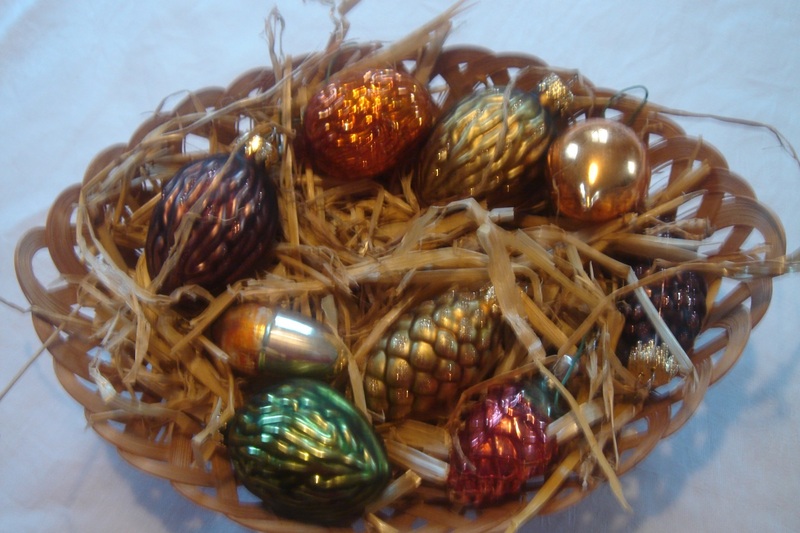 I think of these as very British – but we all love them and they have become part of our Christmas Day celebrations. Originally the pies were made with meat and this idea of meat and spices came from the Middle East and it is thought to have been the brought back by the Crusaders. I make these with the pastry that I learnt from my mother – a variation on kruche & półkruche, pastry (a richer shortcrust pastry). Using the proportion of 2 parts flour to 1 part butter. 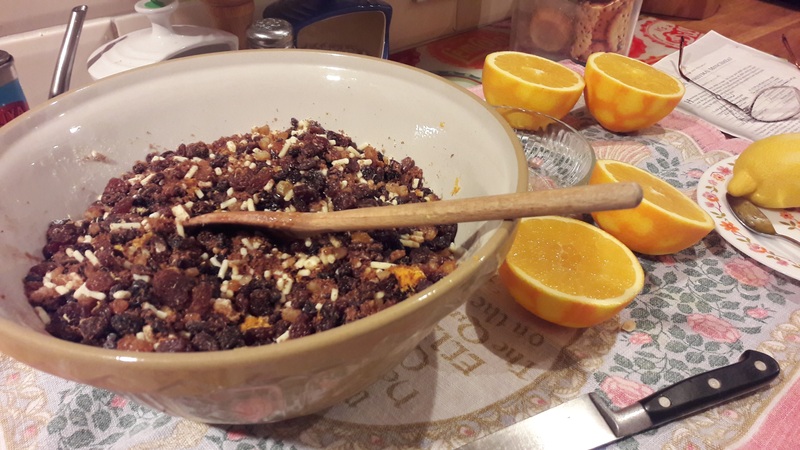 I always make my own mincemeat using the recipe in Delia Smith’s Christmas cookery book but without the chopped almonds (I do not like the crunch of the nuts). 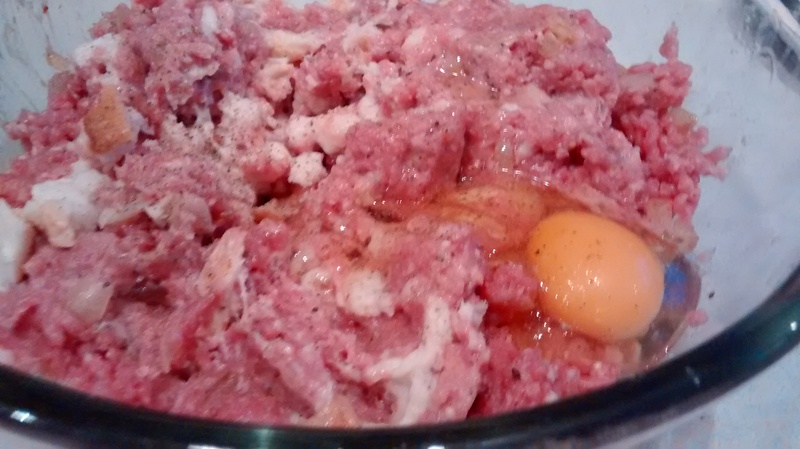 When making the pies I add a little extra brandy or sherry to the mincemeat and stir it in. My tins are anodised aluminium and have a gentle rounded shape, this I think make for the perfect balance between the pastry and the filling. I put “tops” on my mince pies – but not fully covered ones. The tops are brushed with beaten egg white and sprinkled with caster sugar. Rub the butter into the flour to make “breadcrumbs”. You are aiming to get a dough which is not wet. 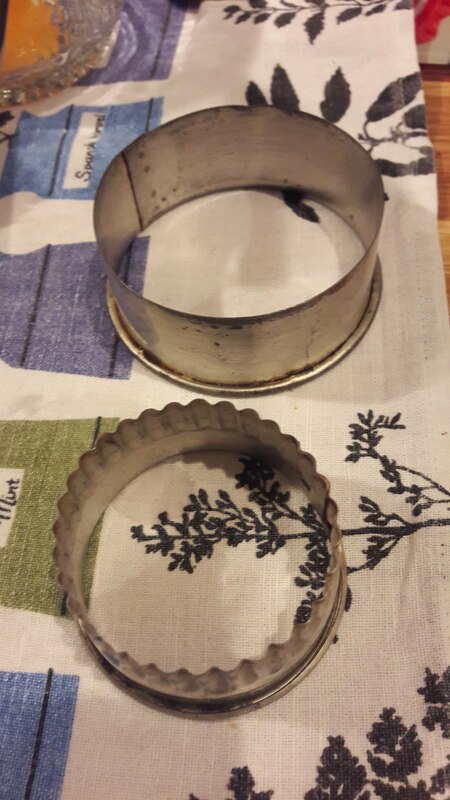 You need to grease the tins well in order to get the pies out successfully. I often use the pastry in two halves. 2 sizes of cutters are needed – 1 – 7cm diameter, plain, for the base, 1 – 6cm diameter, crinkle edge for the top. 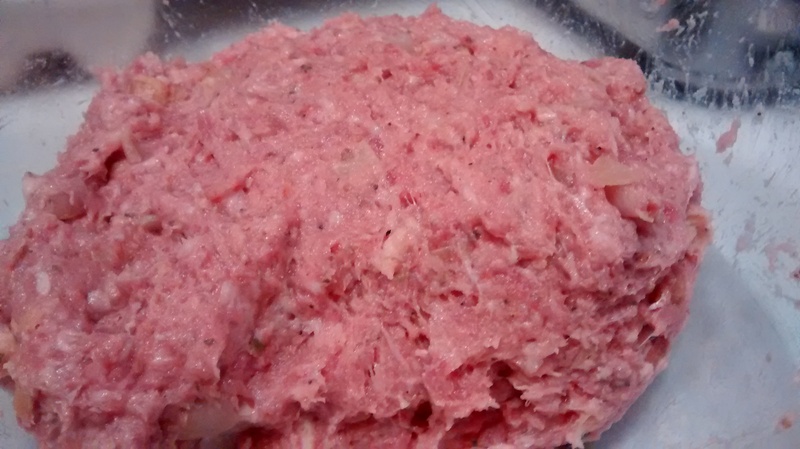 Place around a tablespoonful of mincemeat on the pastry. Place the smaller tops on. Sprinkle caster sugar over the egg white. Bake for around 15 minutes – keeping an eye on them – so they do not burn. Leave to cool slightly in the tins & carefully remove them onto a rack to fully cool. Tea-plate is Stardust by Colclough from the 1960s. In Medieval times in Britain on Christmas Eve a porridge made with oats, to which was added dried fruits, spices and honey was eaten. This was the origin of Christmas Pudding. The spices used were a reminder of the Wise Men – the 3 Kings that came from the East. By the 16th Century as ovens became more in use, butter and eggs were added and wheat flour replaced the oats and this became the Christmas cake. 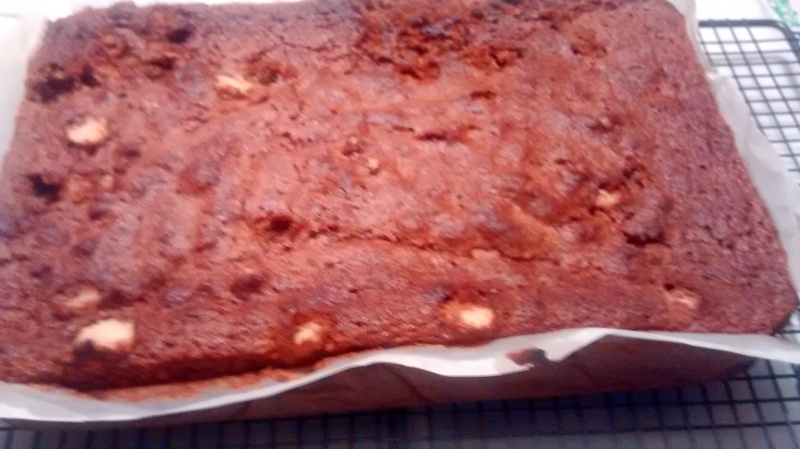 We never had this cake at home until sometime in the late 1970s when my mother tried out this recipe from a magazine. It is a very moist cake and reminiscent of Christmas pudding. Because it is so moist it will only keep for about 2 months but it is one that can be made really at the last minute and one year I made it just 4 days before Christmas. However if you want to add marzipan & icing then you should make it about 2- 3 weeks in advance, to give time for this to be done. Put all the fruit, carrots, rum & tea into large bowl, mix and leave for 15 minutes. 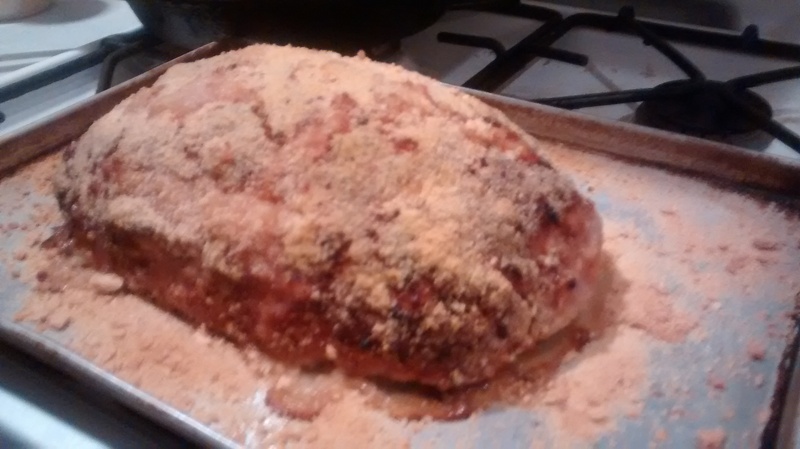 Pre-heat the oven to Gas Mark 2 – 150oC. 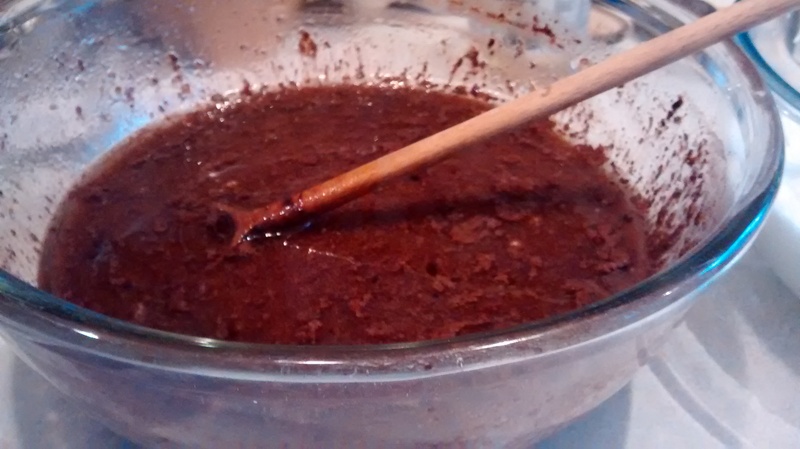 In another large bowl, cream the margarine and sugar, beat in the treacle and eggs. Mix all the dry ingredients together & fold them in using a large metal spoon. Fold in the fruit mix using a large metal spoon. 10” square – I find this shape the best to cut up. 8” round plus a small loaf. 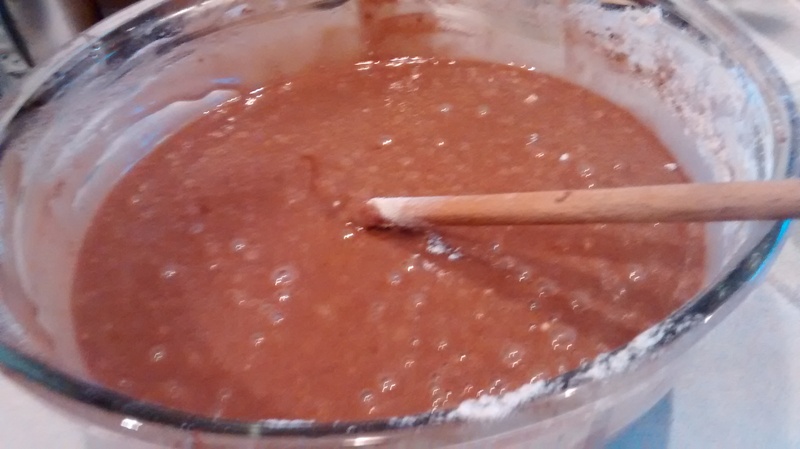 Put all the cake mixture into the tin to fill the shape and smooth the top. 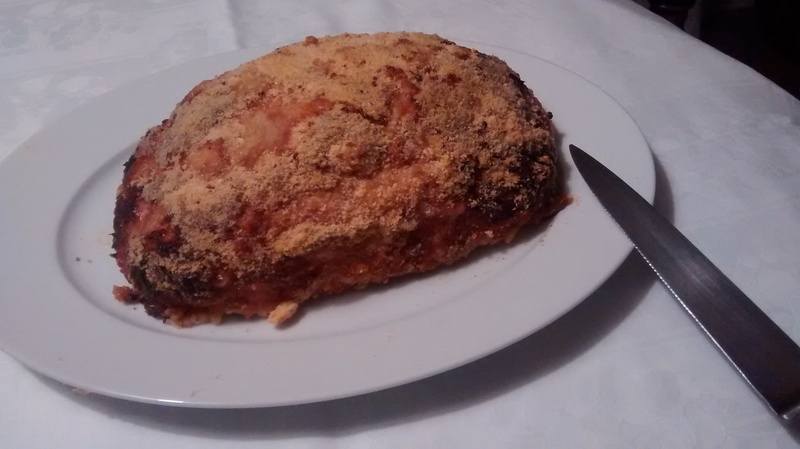 8” round plus a small loaf (I have never tried this – will suspect around 2 hours). The above are guides as it does depend on your oven – you need to check earlier. 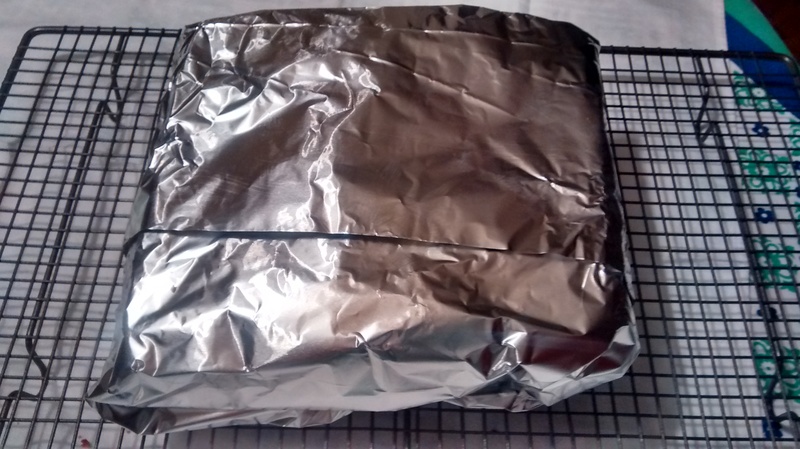 Wrap in several layers of foil to store. It depends on who is coming and whether there are lots of marzipan & icing lovers on how much I decorate the cake. Sometimes I just dust the top with icing sugar. 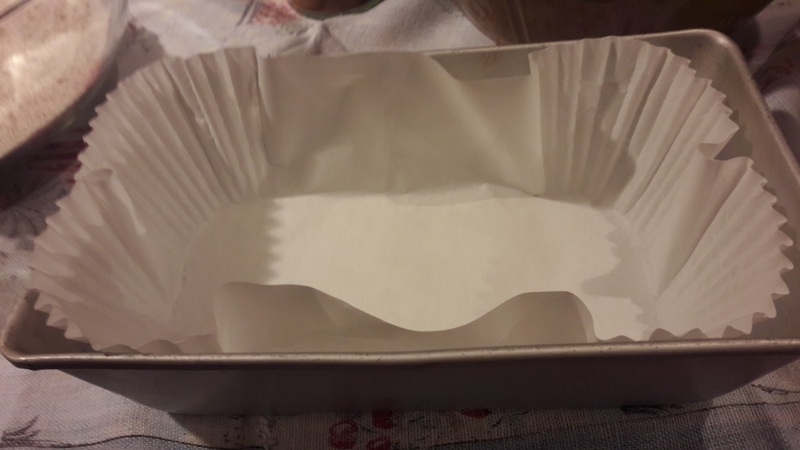 Sometimes I just have marzipan on the top dusted with icing sugar – but lately I have had marzipan & Royal Icing lovers coming so have decorated the top & used a cake frill around the sides. Marzipan is a paste made from ground almonds, honey or sugar & egg white. It is thought that it originated in China and then came to the Middle East and from there it came to some parts of Western Europe through Spain & Portugal and to Eastern Europe from Turkey. The old name in English is marchpane and the Polish is marcepan and the name appears to come from Italy where it was known as panis martius or marzapane which means March Bread – but why March Bread – I am not sure! It was certainly being used in the 15th century in Europe. Brush the surface of the cake with warmed apricot jam. I usually make my own marzipan but of course you can buy ready made marzipan. 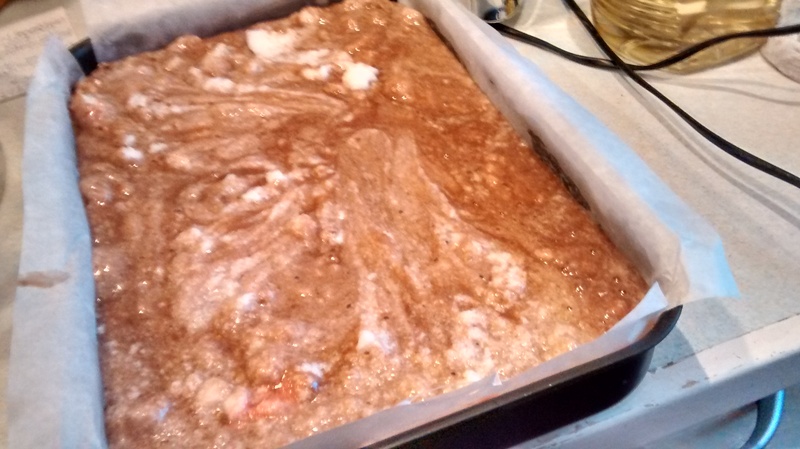 If you are going to ice the cake as well then allow 1 week for the marzipan to harden so the nut oils do not discolour the icing (If you know it will be eaten quickly this is not really a problem). In a bowl mix the ground almond, icing sugar and caster sugar. Lightly beat the egg white & add the almond essence. Add the egg white mixture to the dry ingredients and mix together with a wooden spoon until you get a unified mass of marzipan. You want a mixture that you can roll out – you may have to add more icing sugar to achieve this. You need to dust a board with icing sugar to roll out the marzipan easily. This icing uses egg whites and give a firm icing good for doing fancy decorations (which I do not do!). Using sugar to make icing was a sign of wealth & power and this became very popular in Victorian times. It was used on Queen Victoria’s wedding cake in 1840 and so got the name Royal. You can ice right up to the last minute but it does take around a week for the icing to fully harden. If just doing the top of the cake I would use 2 egg whites. Lightly beat the egg whites and then mix in the lemon juice. Add the icing sugar a few tablespoons at a time and keep mixing until you have have the icing thick enough to work with. Spread the icing on top of the marzipan using a small spatula & have a mug of hot water at hand to dip the spatula in. I do not do any fancy icing – just random peaks – also achieved using a spatula. 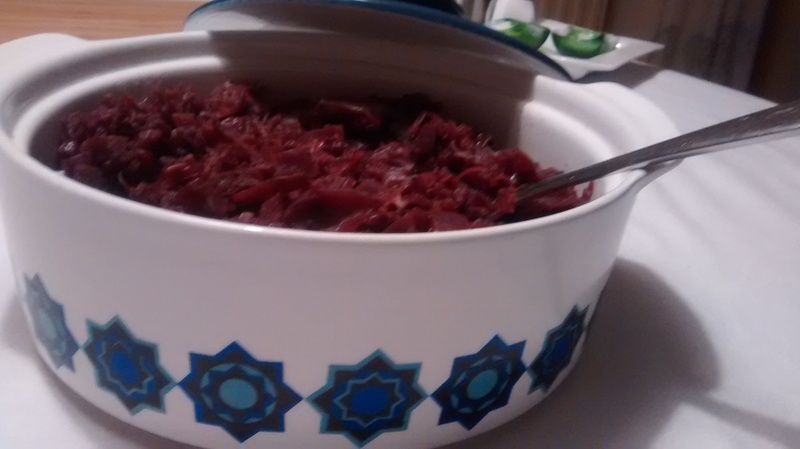 A few years ago on one of my visits to The Netherlands to stay with my Dutch friend, we had a super meal which included a delicious dish of red cabbage that had been cooked with apples. 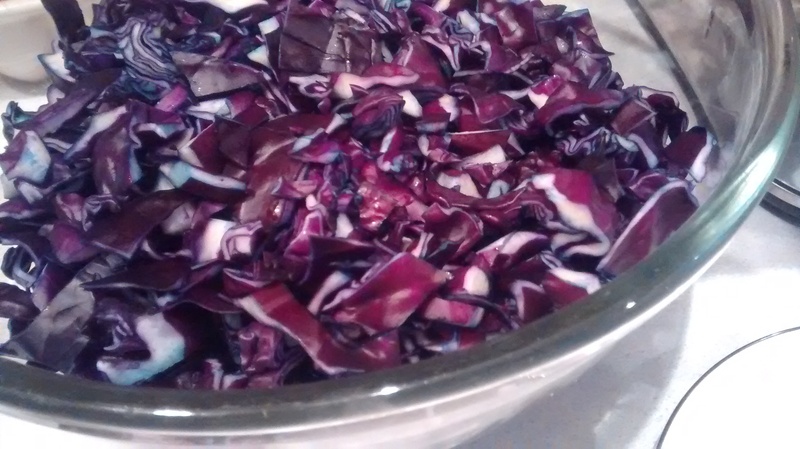 I thought then that I did not remember my mother ever cooking red cabbage. 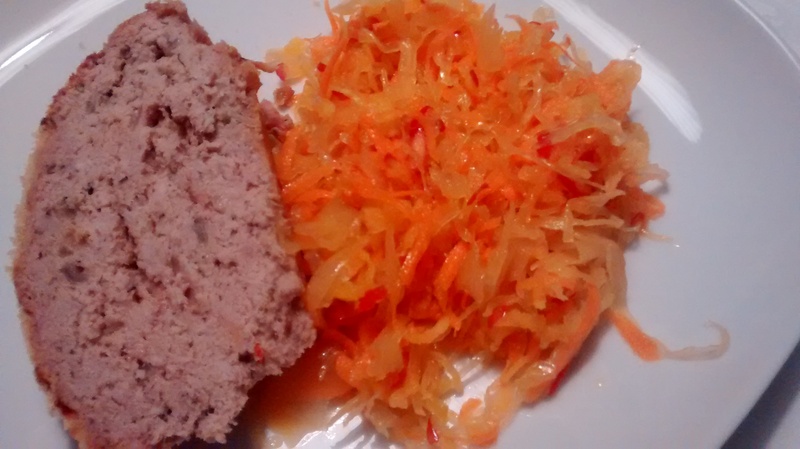 When I came home I found recipes in both my Polish and English cookery books and tried out many of these. The following recipe has been refined and altered and this one with lots of apples and spices is the one I now use all the time. As it takes a long time to cook in a low oven or in a slow cooker, I tend to make a lot at once. It freezes and reheats well, so once made I divide it into small portions to freeze. I think it goes well with roast pork loin and I usually make some before Christmas and serve it with roast pork loin during the holiday period. 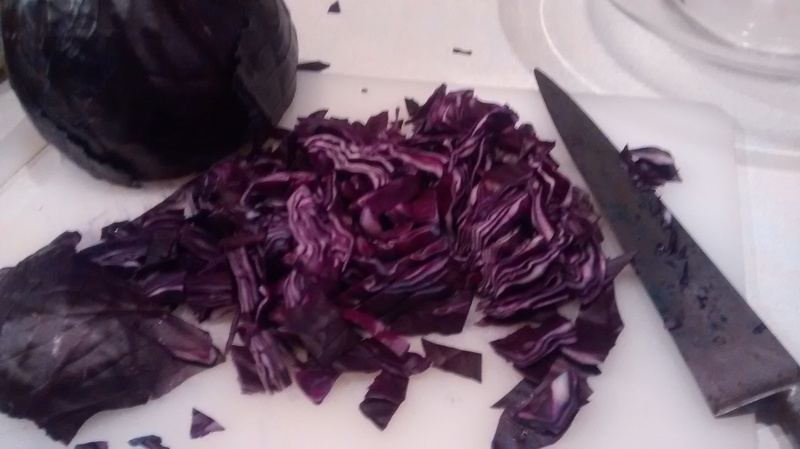 Have a lemon ready after handling the chopped red cabbage as you will find your hands become stained blue/purple. Lemon juice will clear the stains away. Another reason to make this dish in advance. I have discovered that this dish is also delicious when it is cold! I now also serve this with cold meats and Polish style sausage. 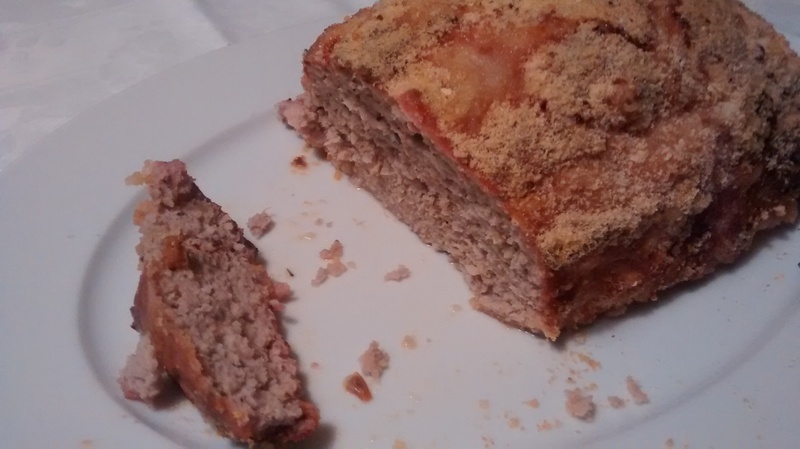 Pre heat the oven to GM 2 or get your slow cooker ready..
You need a large oven-proof dish with a lid to make this. 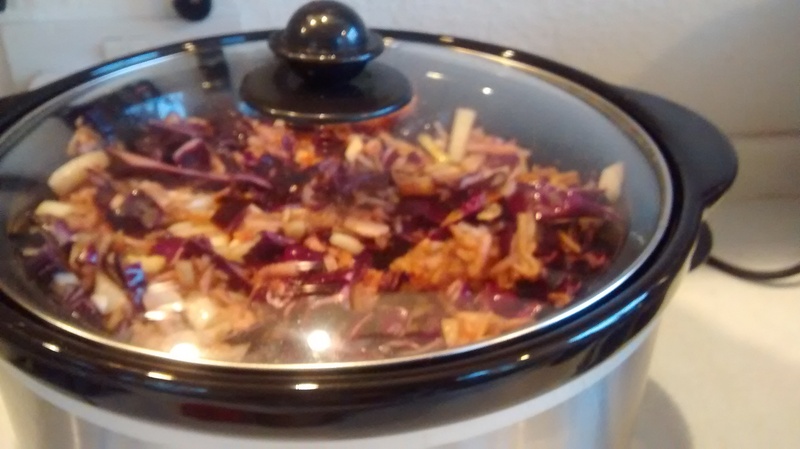 I either use a very large oval enamel dish or I have now started to use a slow cooker. I mix the ingredients in a large bowl first and then put them in the cooking dish. 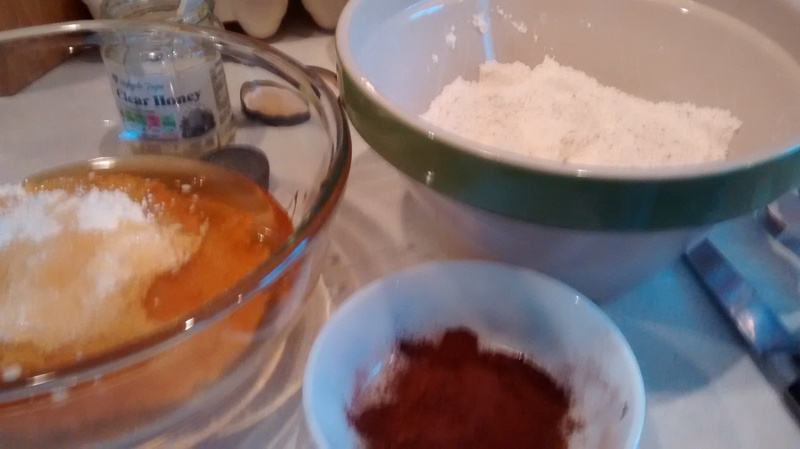 Mix together the sugar, spices, salt and pepper, vinegar and water. 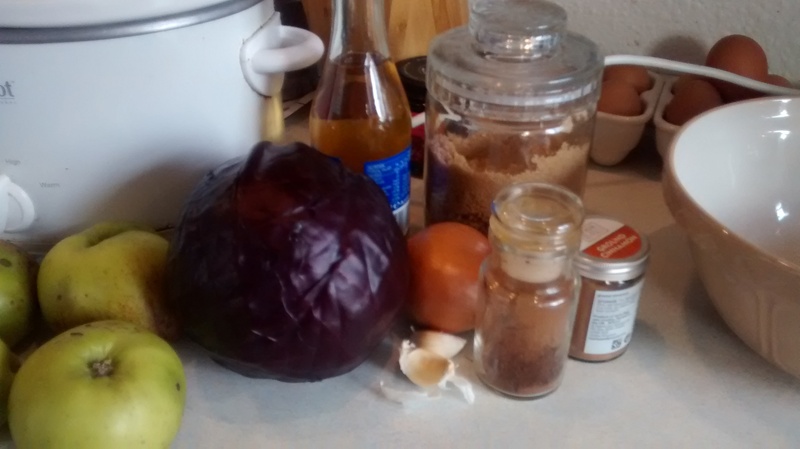 Remove the core from the cabbage head and cut the cabbage into fine shreds and add these to the spice mixture. 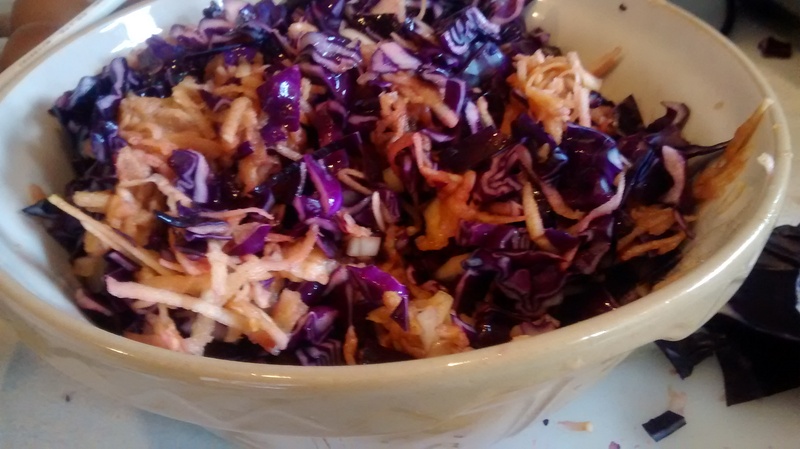 Peel, core and then coarse grate the apples and then add these to the cabbage mixture. Mix the ingredients with a wooden spoon. 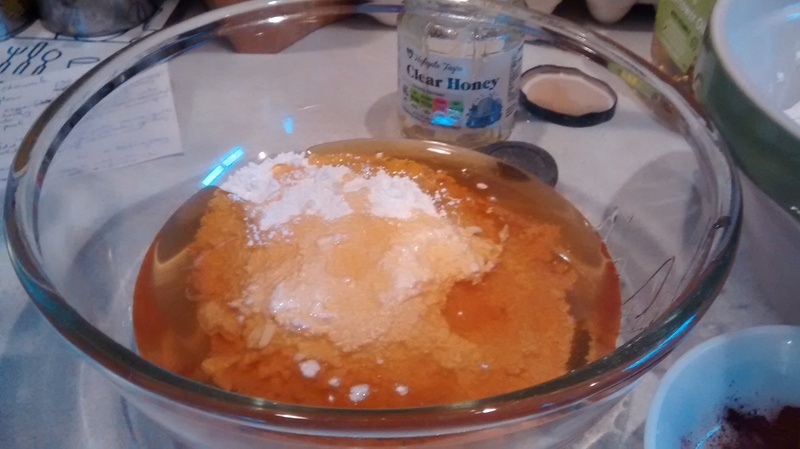 Put the mixture into the cooking dish (or slow cooker) and put in the oven (or switch on the slow cooker). 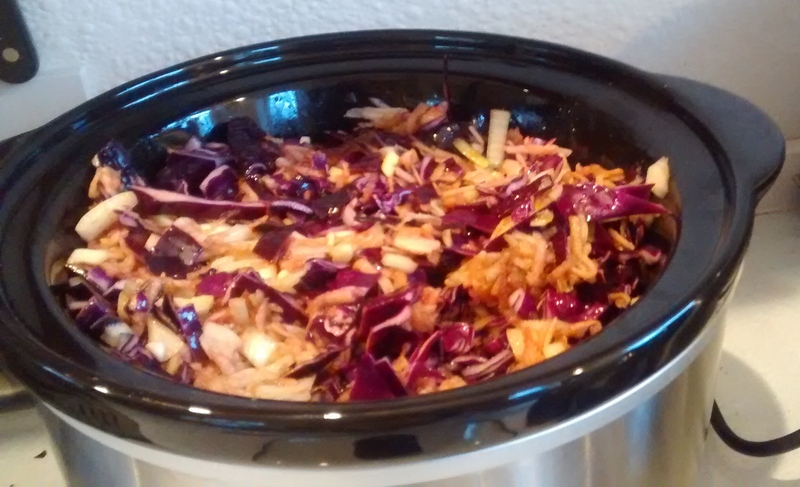 It should take about 3-4 hours – it may take longer in the slow cooker.